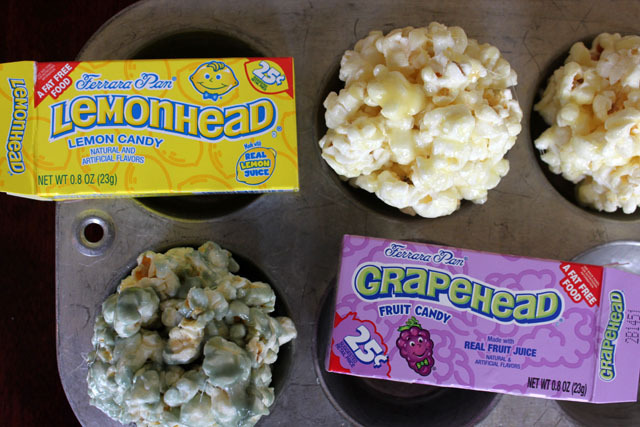 While my sister and her family were in town this weekend, we held a Grapehead Popcorn Ball vs. Lemonhead Popcorn Ball contest. Even though one lost, they were both sour. Lemon won by a slightly sweet head, though my sister maintains that grape is her favorite. 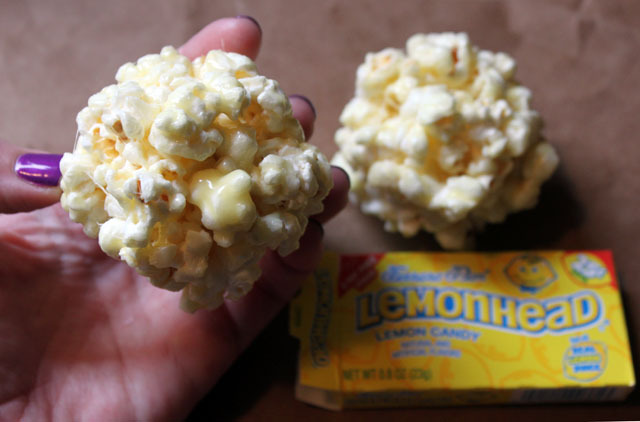 Make the sweet and tart popcorn balls yourself: Over medium heat, melt together 3 T butter, 1 C mini marshmallows, one small box lemonheads (be patient, the lemonheads will dissolve). Mix in 4 C popped corn until well coated. With oiled or buttery hands, form into balls. Makes six small orbs.